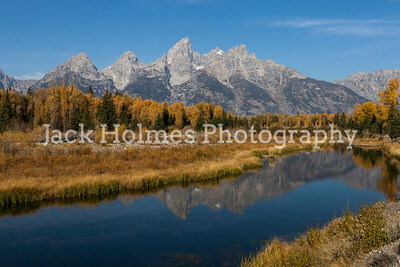 Grand Tetons National Park, October 2012. 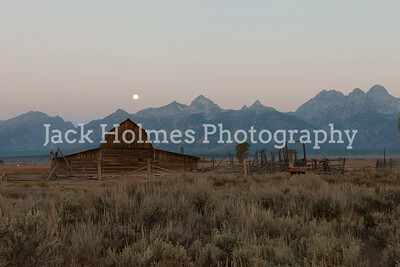 The moon was full and my primary focus was to photograph the Tetons with the full moon setting at sunrise. 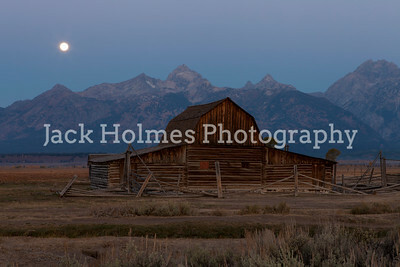 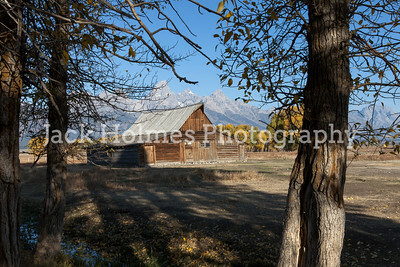 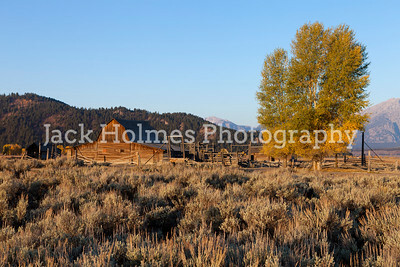 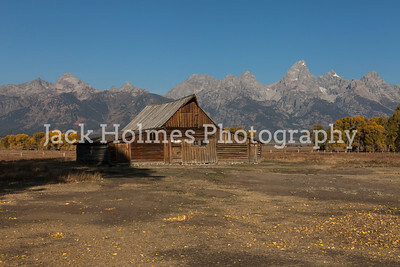 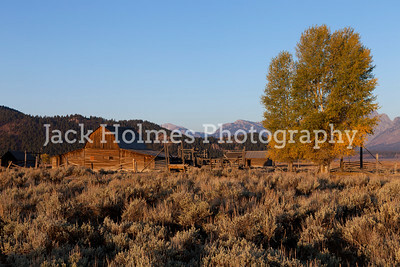 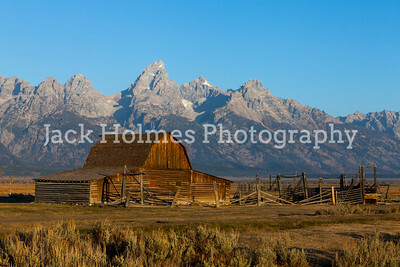 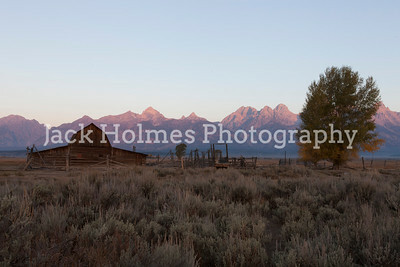 Also, I was focused on Mormon's Row and the old barns with the moon setting behind the Tetons. 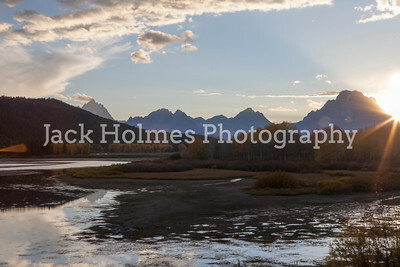 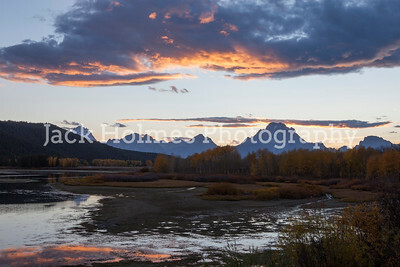 Oxbow Bend as the sun set. 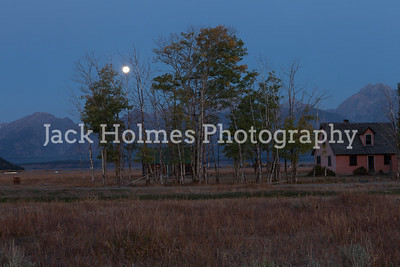 Moon setting on Mormon's Row. 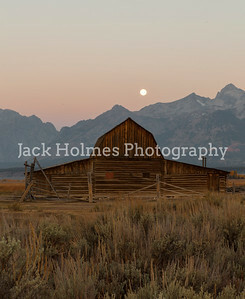 Old barn on Mormon's Row before sunrise. Mormon's Row as the moon sets behind the Tetons. 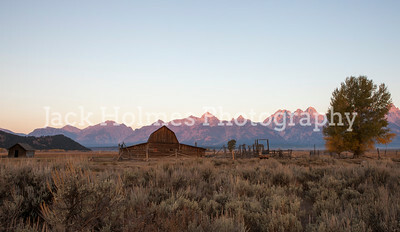 Old barn on Mormon's Row at sunrise. 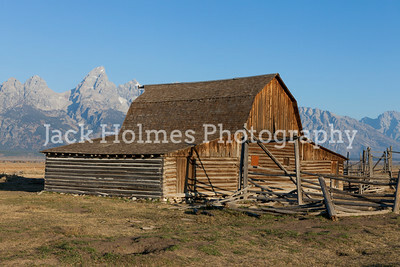 Mormon's Row barn against the Tetons. 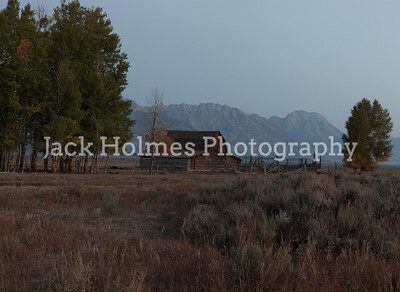 Early morning on Mormon's Row. 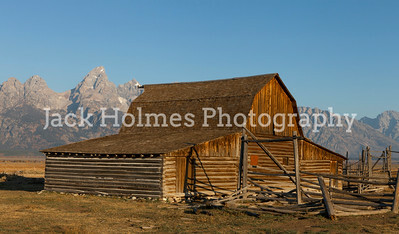 Mormon's Row barn at sunrise. 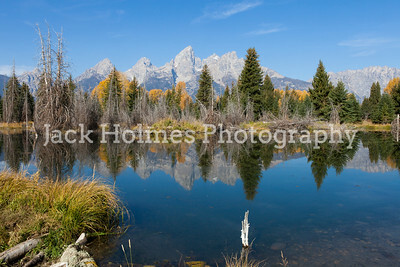 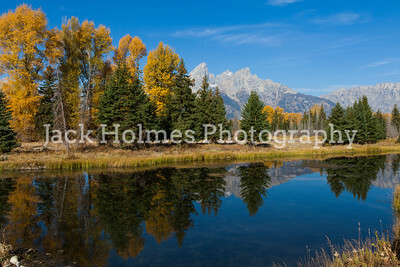 Reflection of the Tetons at Schwabacher Landing. 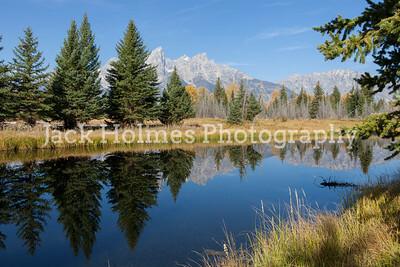 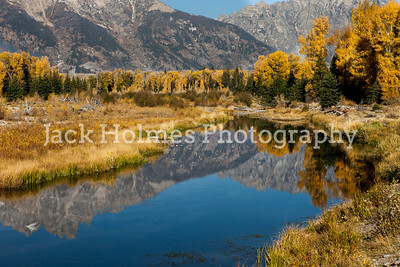 Grand Teton reflection on Schwabacher Road.